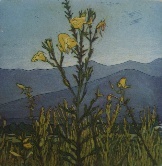 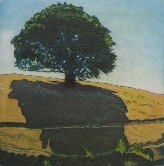 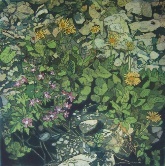 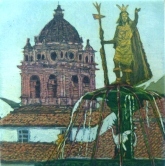 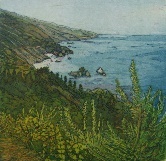 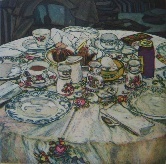 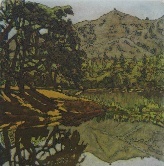 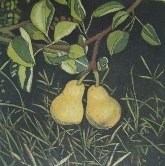 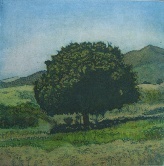 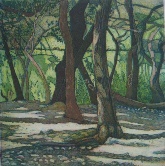 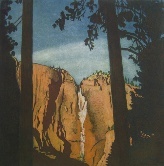 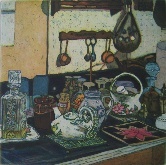 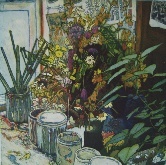 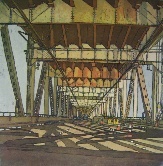 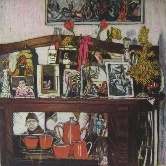 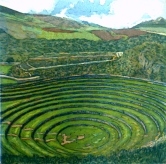 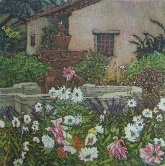 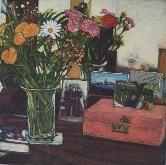 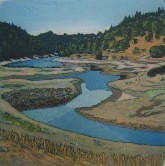 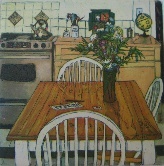 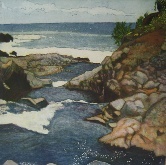 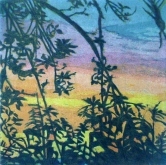 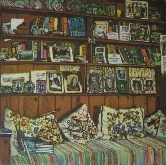 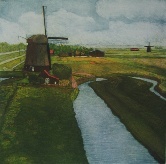 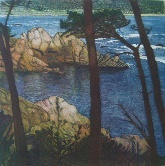 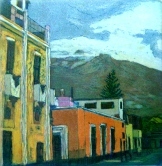 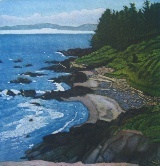 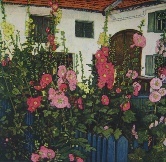 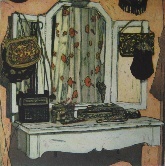 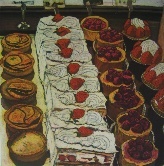 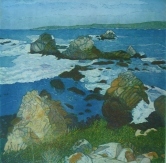 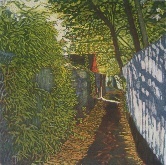 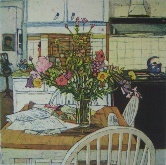 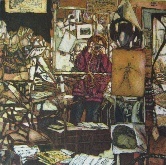 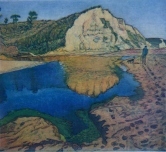 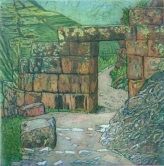 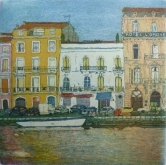 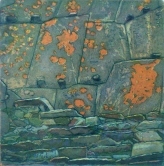 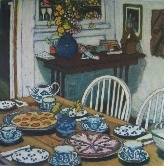 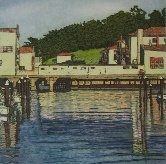 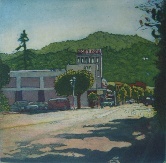 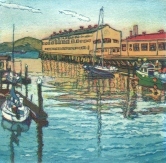 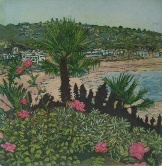 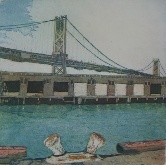 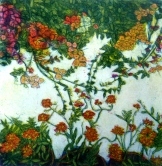 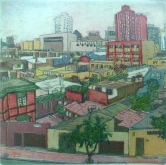 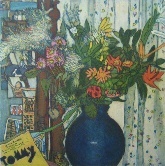 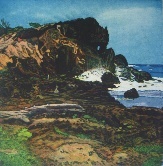 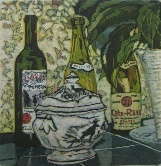 This multiple plate color etching is part of the World Views series. 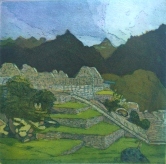 The images were done intermittently over the years on successive trips. 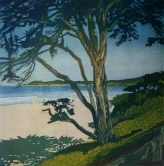 This, the sixth of nine images, revisits a celebrated destination along the California coast.